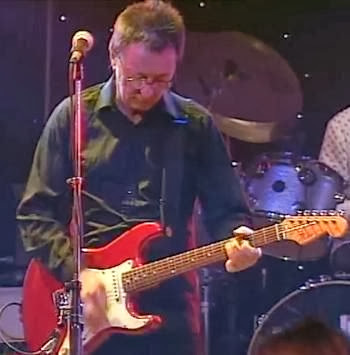 Great guitarist, Gypie Mayo was born John Phillip Cawthra on July 24th, 1951, in Hammersmith, London, England. 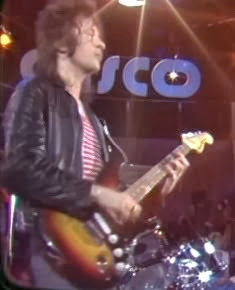 He started using the stage name of John Mayo, and started using the name Gypie Mayo when he already was in Dr Feelgood. They released a single before disbanding after one year. Gypie tayed with them until 1981, recording six albums: Be seeing you, Private practice (1979), the live album As it happens, Let it roll, A case of the shakes and On the job. A great lineup! I´d like to get more info about them. Any help, please? But I don´t know the complete lineup(s) or the period. Can someone help, please? Gypie left the band to take a rest during Summer 1998 (with Idan switching to lead guitar, and Denny Ball joining in bass for the time Gypie was out of the band). 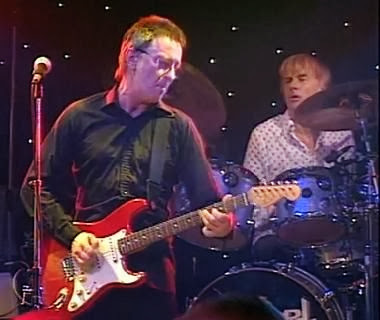 In September 2003, Alan Glen left the band. In March 2005, it´s Gypie Mayo who left them (to be replaced by Jerry Donahue). Gypie Mayo sadly passed away on October 23rd, 2013, after having some problems with his health. Comments: Recorded live in two different concerts. Comments: Live album recorded in their 2002-2003 tour. Comments: 2LP compilation with most of their best tracks, obviously featuring different band lineups. Wilko Johnson is featured in 6 tracks and Gypie Mayo in 10 tracks. The CD version lacks 2 tracks compared to the original double vinyl album. Comments: 5CD boxset including a fifth CD with rarities, interviews and unreleased tracks. Comments: This also has been reissued under different titles, such as Two greens make a blues and credited to Mick Green & Peter Green, with 2 additional bonus tracks. Comments: CD reissue from 2002 contains 3 bonus tracks. Comments: Recorded during May 2006. 01. I´ve read that Gypie also played for Joe Brown, Geno Washington or Elvis Da Costa & The Imposters, but can´t find info. Any help, please? Disclaimer: I don´t own or upload any of the videos linked here. I just include links to live videos that are already available, in order to show the work of this musician. Anyway, if someone feels that some link shouldn't be included, please write me at the email address shown below. And if you know of more videos featuring Gypie Mayo, please, also write me with the link. 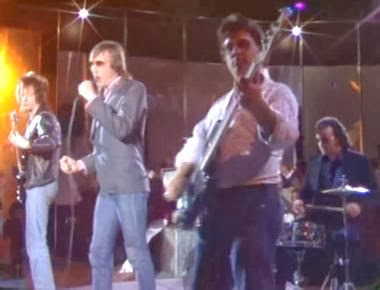 Featuring: The Big Figure, Lee Brilleaux, Gypie Mayo, John B Sparks. Featuring: Chris Dreja, Alan Glen, John Idan, Gypie Mayo, Jim McCarty. Featuring: Chris Dreja, John Idan, Gypie Mayo, Jim McCarty, Billy-Boy Miskimmin. Featuring: Alan Glen, Bob Haddrell, Gypie Mayo, Peter Miles, Nick Newell. Featuring: Dino Coccia, Paul Cox, Alan Glen, Bob Haddrell, Robin Jones, Gypie Mayo, Nick Newell, Art Themen. The Barcodes live with great guests. Featuring: Dino Coccia, Alan Glen, Bob Haddrell, Robin Jones, Gypie Mayo, Nick Newell, Art Themen. Featuring: Alan Glen, Earl Green, Bob Haddrell, Gypie Mayo, Peter Miles, Nick Newell. Featuring: Jez Broun, Gypie Mayo, Saravian. Featuring: Dino Coccia, Pete Gage, Alan Glen, Gypie Mayo, Costa Tancredi. Featuring: The Big Figure, Gypie Mayo, Gary Miller, John B Sparks. Featuring: Gypie Mayo. Other musicians unknown to me. Blake Powell: for The Barcodes albums and much more (2006). Alex Gitlin: my friend, for a Dr Feelgood album (1998).